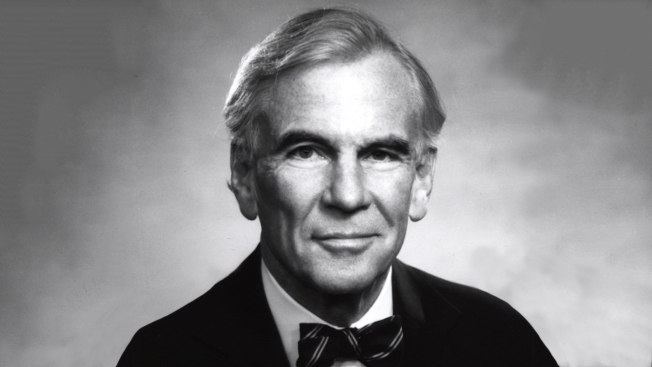 Ed Ney, the man at the center of expanding Young & Rubicam beyond traditional advertising and into a broad range of specialized marketing services, died today at the age of 88. In the 1970s, when he was CEO of Y&R, Ney led a drive to acquire specialist shops that collectively became known as Young & Rubicam Group. The goal was to provide clients with every conceivable form of marketing—from advertising and public relations to direct marketing, branding and health care communications. To Ney, those services represented "the whole egg" of integrated marketing and many global companies embraced the concept, hiring multiple units of the group. Colgate-Palmolive is classic example, employing several units of Y&R Group, including Y&R and VML. In a statement, Martin Sorrell, global CEO of Y&R parent company WPP Group, said that Ney "understood, probably more than anyone else, both the power of agency brands and, at the same time, the paradoxical need to bring them together … He understood it all and saw it sooner than most." Ney also was a respected leader who in recent years, as chairman emeritus at Y&R, was a warm and visible presence at conferences and events honoring industry luminaries. Y&R global CEO David Sable, who first met Ney upon joining Y&R in 1976, said: "His charm was magnetic, his generosity, magnanimous. Ed was known to walk the building, where he talked to everyone he passed, knew everyone's name and always had a question or kind observation to share." Ney joined Y&R in 1951 and served as CEO and later chairman between 1970 and 1989, when he left to become U.S. ambassador to Canada under President George Bush. In 1995, he returned to the Y&R Group fold as chairman of Marsteller Advertising. He had been chairman emeritus of Y&R since 1999. It was Ney's efforts as CEO, however, that stood out most, as he helped create a formidable agency group that pulled off a successful public offering in 1998 and sold to WPP for more than $4 billion in 2000. Ney is survived by his wife, Patricia Murray Wood; a son, Nicholas Ney; two daughters, Hilary Ney and Michelle Kilduff; five grandchildren; and two great-grandchildren.